LIVE LIKE YOU GIVE A F*CK. You feel guilty for doing anything just for yourself. You're "too busy" focusing on everything and everyone else to make time for yourself. People come to you for everything because they know you'll give your last, but never reciprocate. You never feel "good" when technically your health is fine. Your health is NOT fine and you ignore it because "there are other people who have it worse". You don't rest well and your mind is constantly racing. Somewhere in your life you were taught to feel guilty about taking care of yourself. You were shown that it was more important to give to others, even if that meant there was nothing left for yourself. The time you spend relaxing or doing things that make you feel good makes you feel selfish, like there are other priorities that need your attention, or that you dare not complain because there are people doing more than you with less than you have. This kind of thinking leads to quarter- and mid-life crises, estranged relationships, mental health deterioration, stress-related illnesses, and early death. Your body is the most sacred dwelling of Spirit. TAKE CARE OF IT LIKE SOMEONE SPECIAL LIVES THERE. BECAUSE YOU ARE. AND YOU DO. RESTORE AND MAINTAIN YOUR RELATIONSHIP TO YOUR BODY, MIND, AND SOUL. Deprogram your belief that other people and their wellbeing should come before your own. 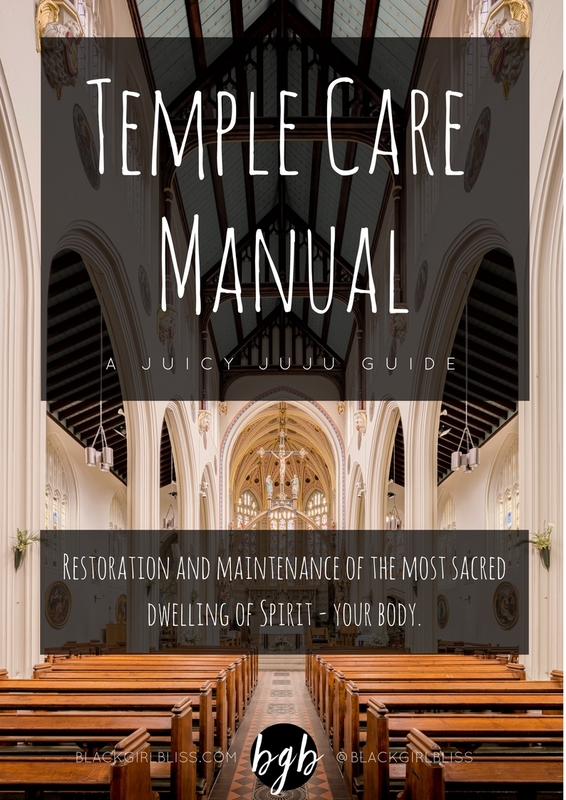 Learn to see your body as a space where the Divine lives - a temple complete with altar and scripture. Establish rituals that ensure that your cup is filled so that you can share your overflow. Here are the tools you need to STOP feeling guilty about putting yourself first and START establishing boundaries, balance, and the necessary self-care practices you need so you can start living your best life.